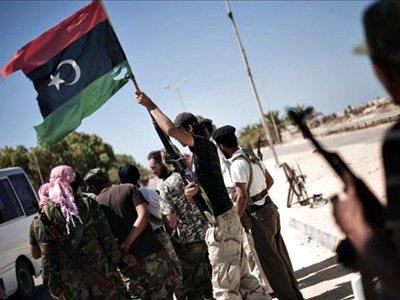 As Libyan rebels continue advancing on the capital Tripoli, Libyan leader Muammar Gaddafi, who has been struggling to stay in power since March, is reported to be "gravely ill."
­The news comes from unnamed sources quoted by the Asharq al-Awasat newspaper. 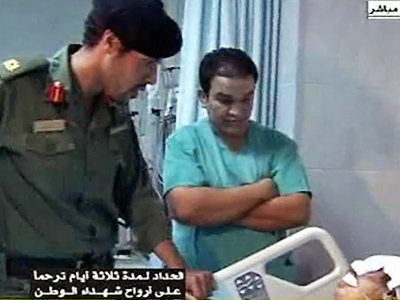 No further details on the colonel’s medical condition is said to be available, though the rebel Transitional National Council does refer to medical reports allegedly confirming that Gaddafi has had a serious illness. The strongman’s worsening health reportedly prompted him to send the head of his office to Mali and Tunisia to meet with French and British representatives in a bid to secure his family's and his own safety. According to reports, Gaddafi was likely to step down and delegate his powers to Muhammad Alqamoda, the Libyan regime’s justice minister. 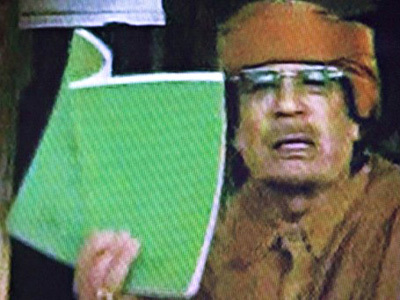 "Colonel Gaddafi's conditions are an immediate cease-fire and the withdrawal of NATO forces," the Itar-Tass news agency quoted an unnamed source in Libya’s military as saying. "Two Airbus aircraft from South Africa landed at Tripoli International Airport. One of them included a delegation, while the second was empty of passengers." The same source reportedly added that the planes may be ready to transfer Gaddafi, his family members and some members of his government to Venezuela. It is also reported that an envoy of Venezuelan President Hugo Chavez arrived on the Tunisian island of Djerba, where he allegedly met Gaddafi’s representatives. 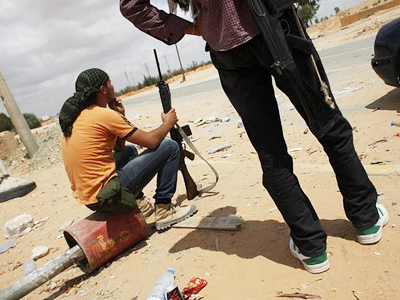 Meanwhile, the rebels claim to be advancing on the Libyan capital Tripoli. 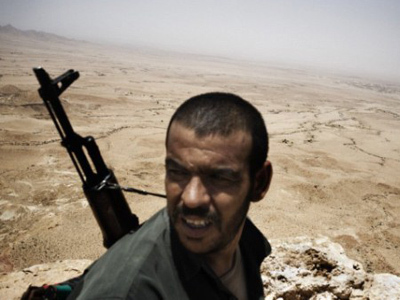 Despite the NATO-led mission to protect civilians and enforce a no-fly zone over the country, the civil war between rebels and forces loyal to Gaddafi continues to rage for more than six months after the outbreak of violence.